People with dry eye syndrome find it difficult to tolerate contact lenses. By using lubricating drops and contact lenses with slightly higher water content, you can keep your eyes moist. 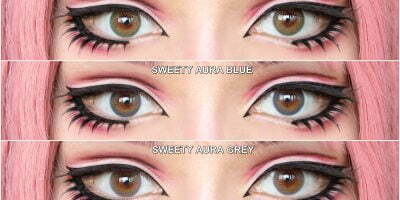 Sweety Nudy Ice blue circle lenses are considered natural looking since they are translucent that makes blending flawless. They are perfect if you want to brighten up your eyes without faking your irises.